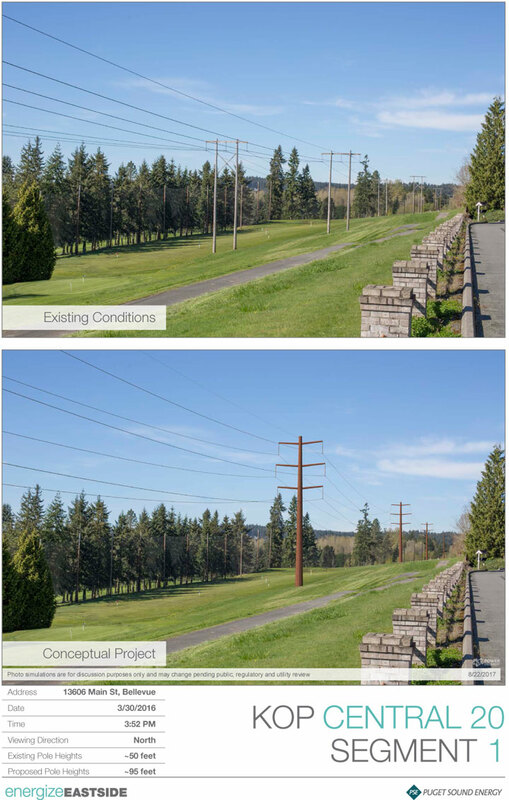 The photo simulations below were developed by POWER Engineers and are for discussion purposes only and may change pending public, regulatory and utility review. 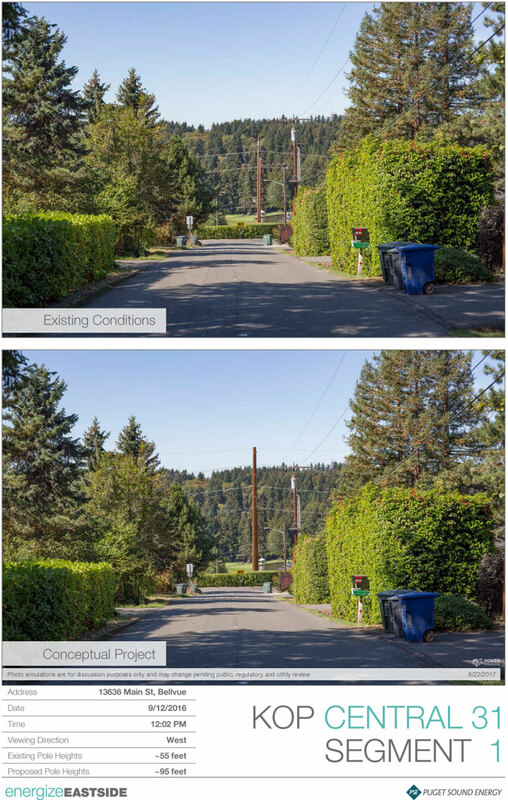 Click any of the images to expand to a larger size. 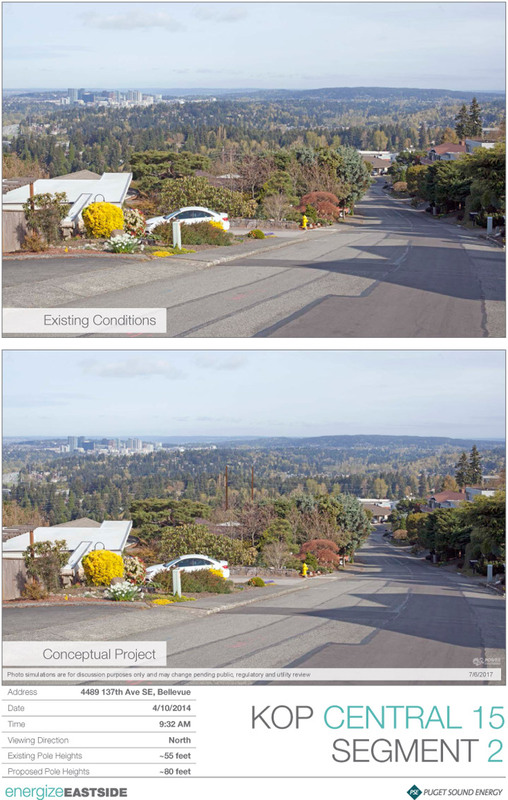 To view the photo simulations on a map, visit our interactive map and check the "Photo simulations" box in the map legend. 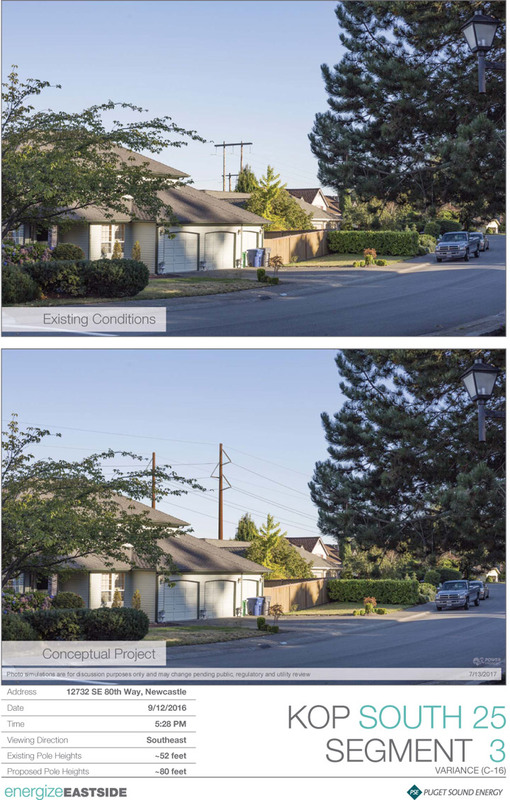 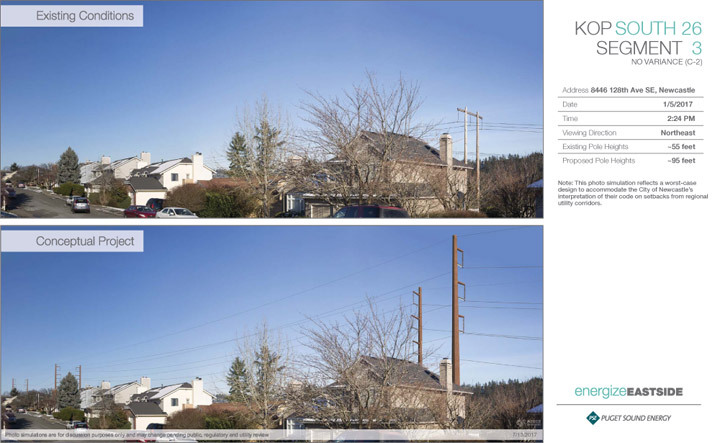 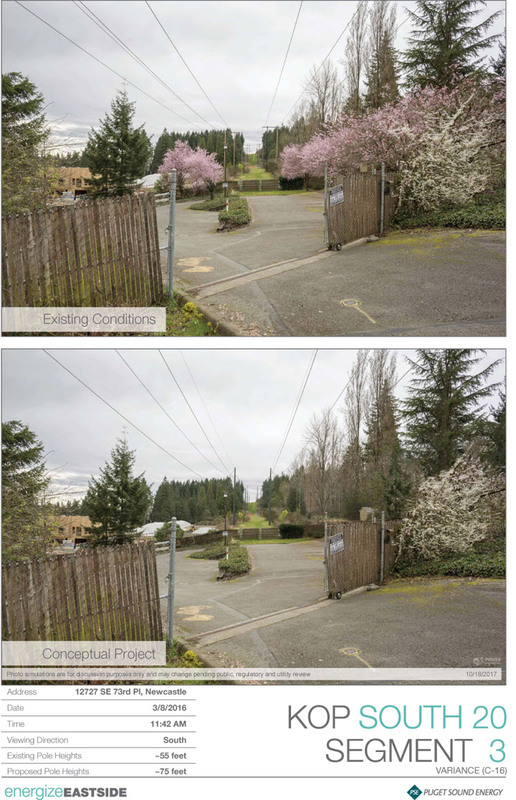 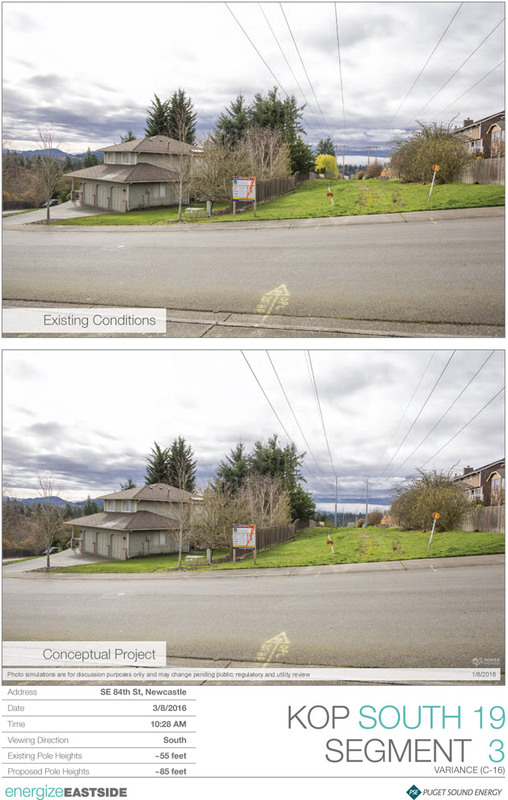 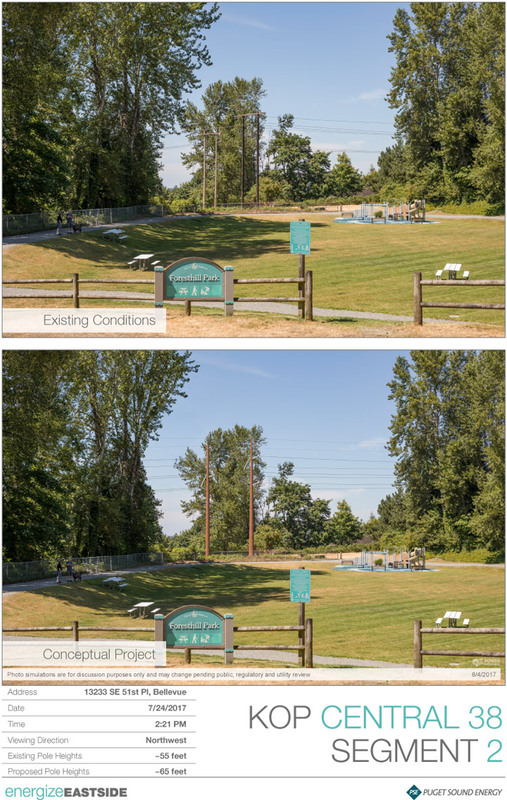 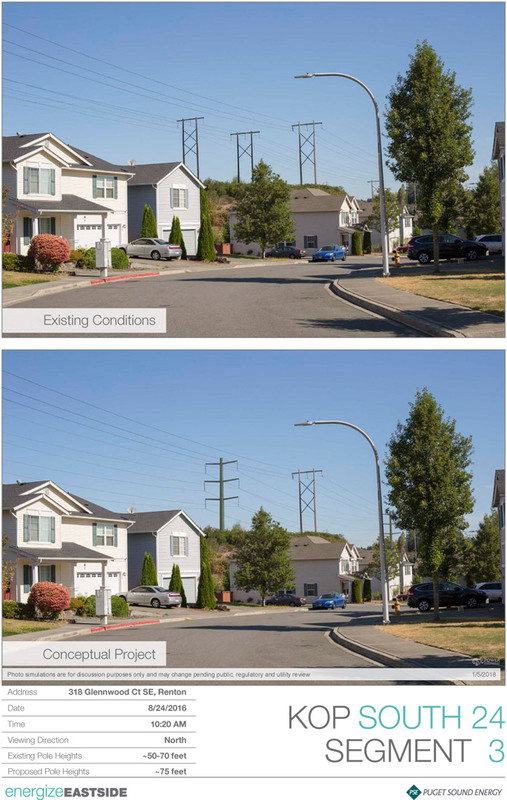 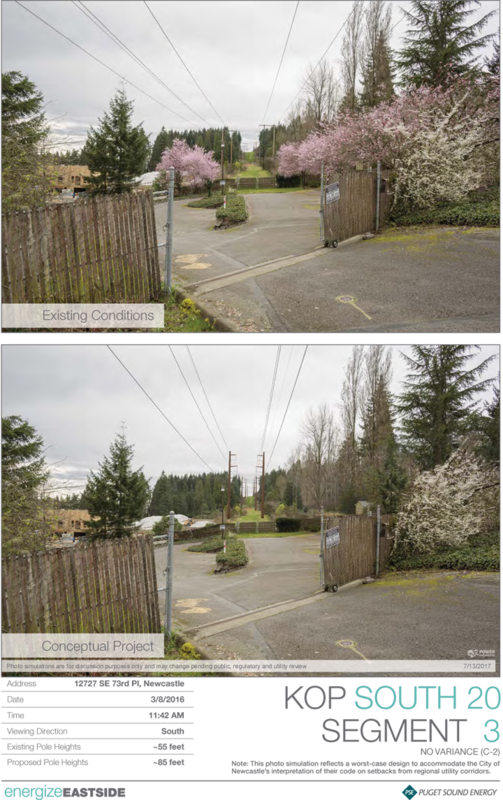 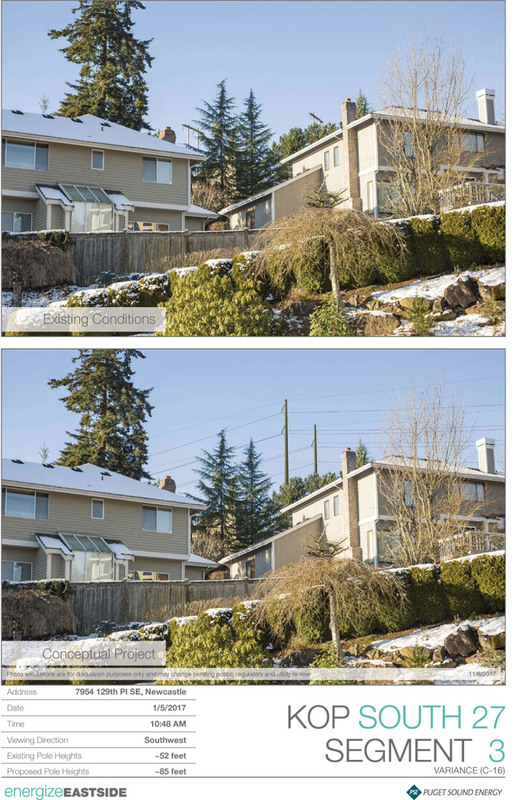 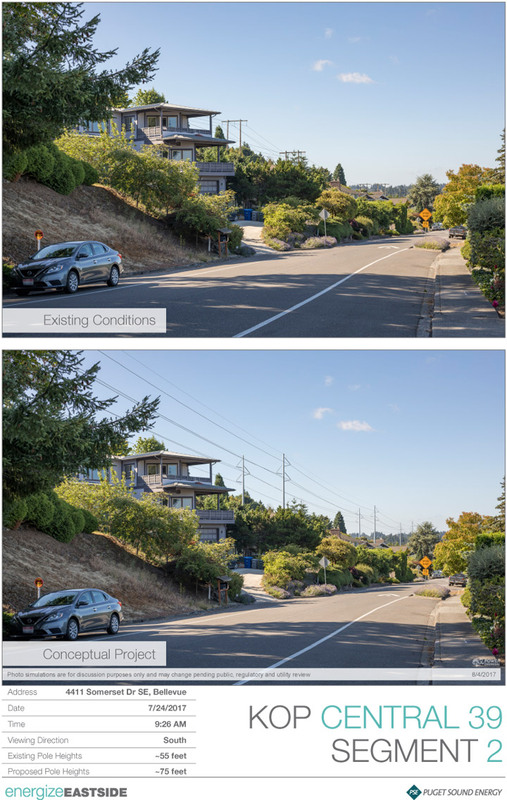 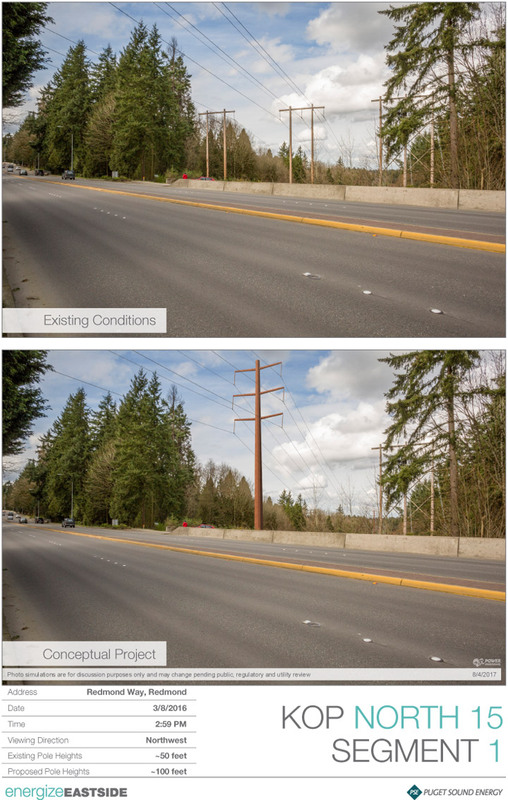 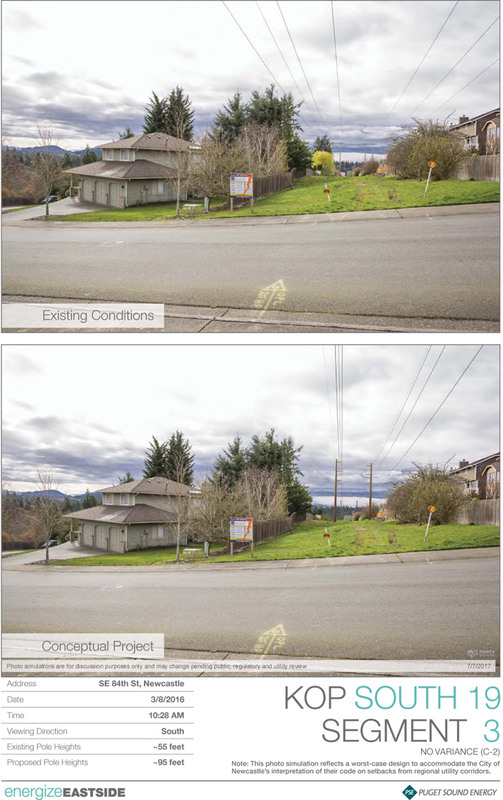 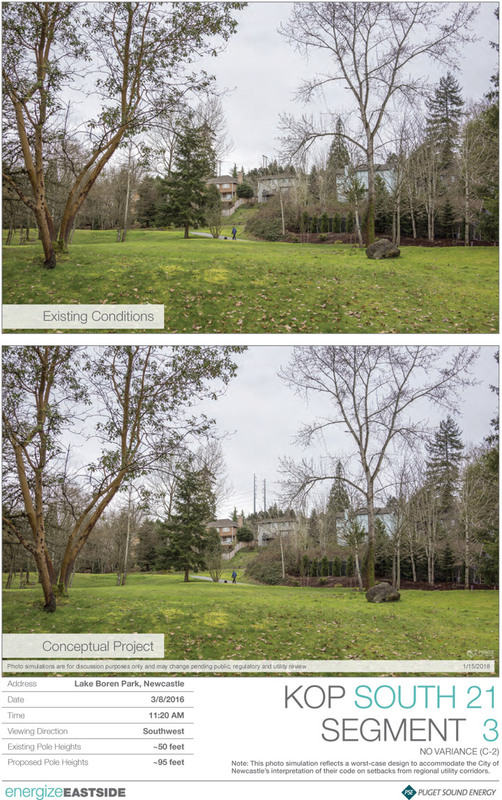 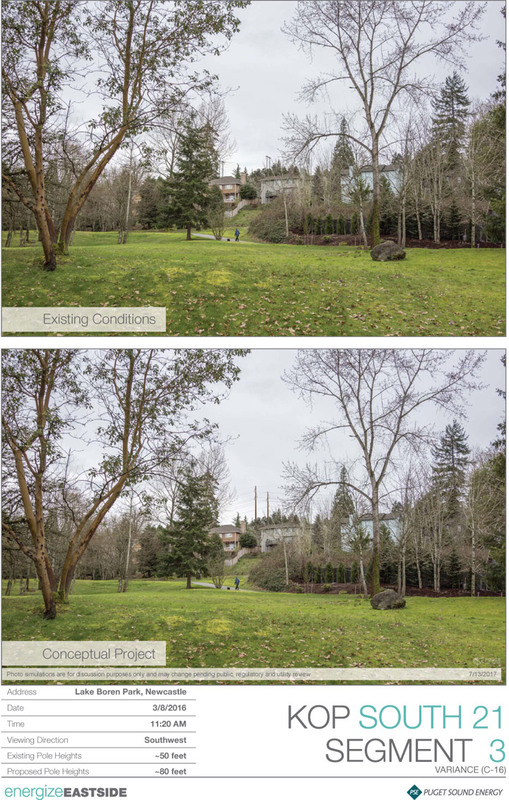 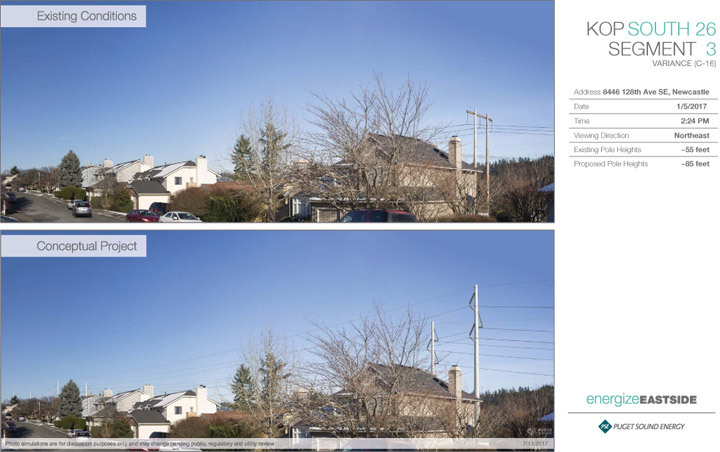 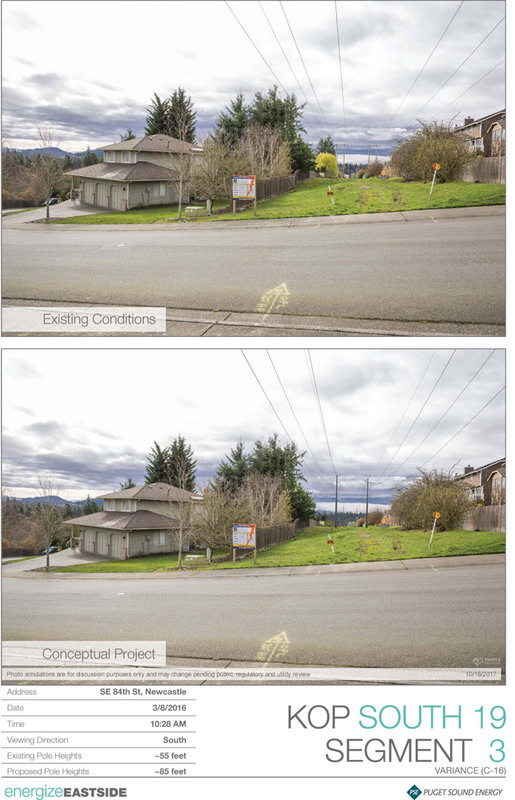 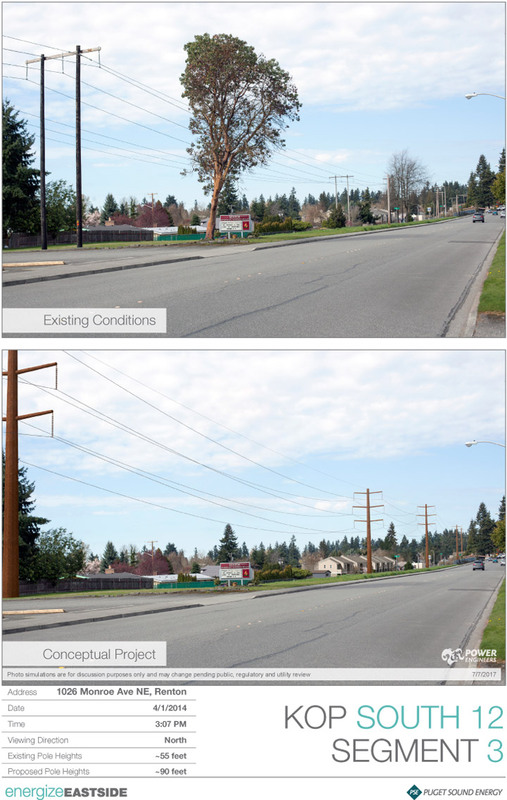 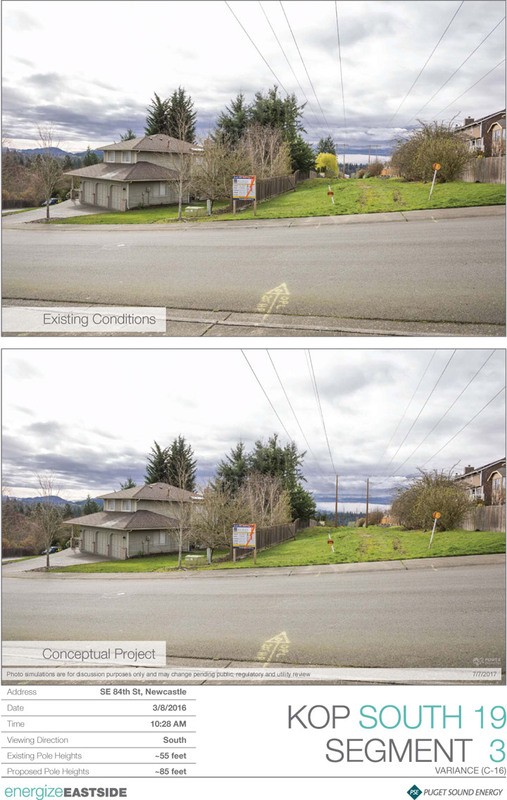 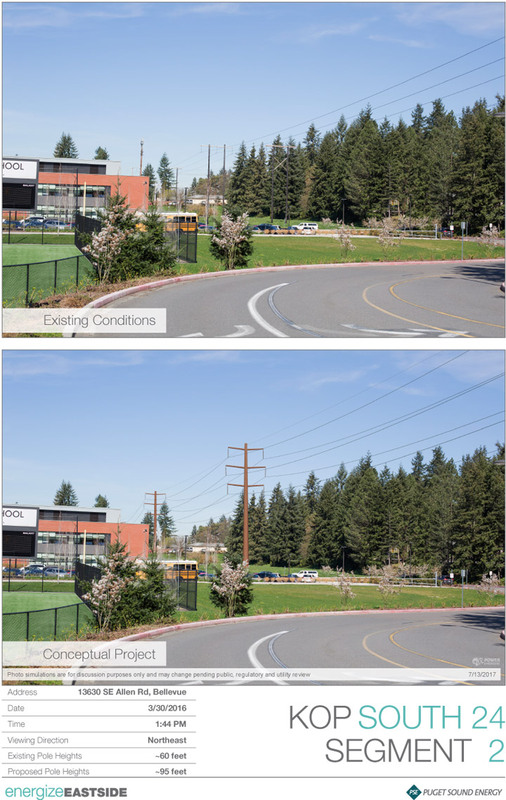 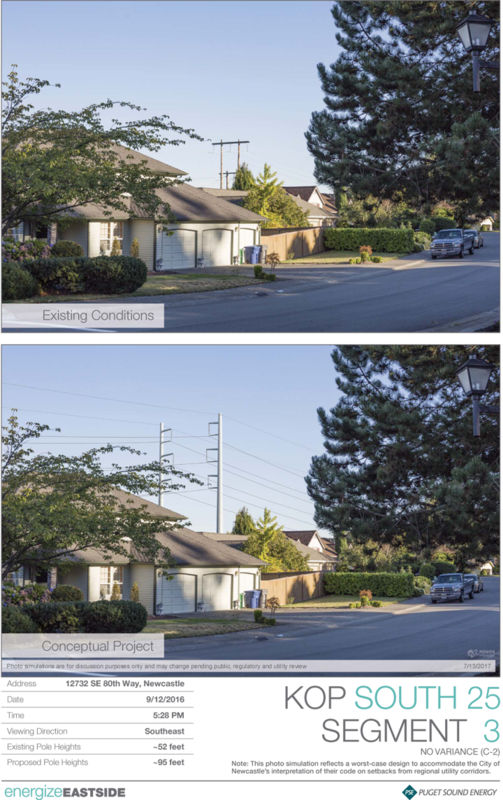 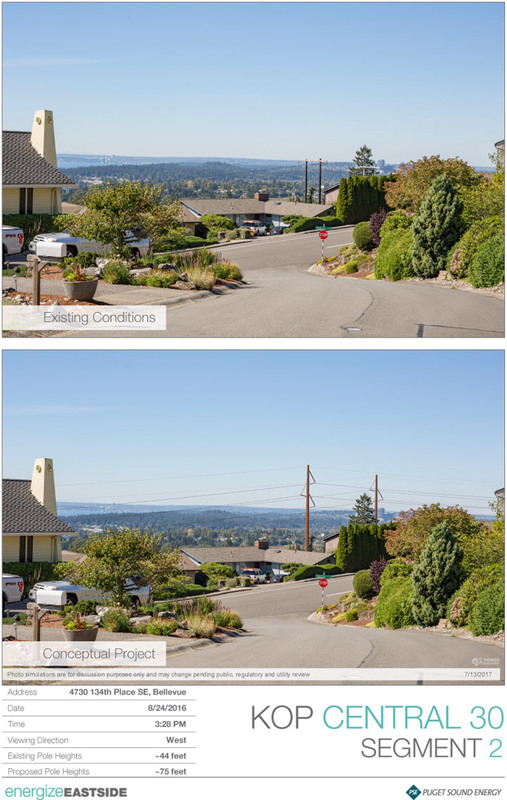 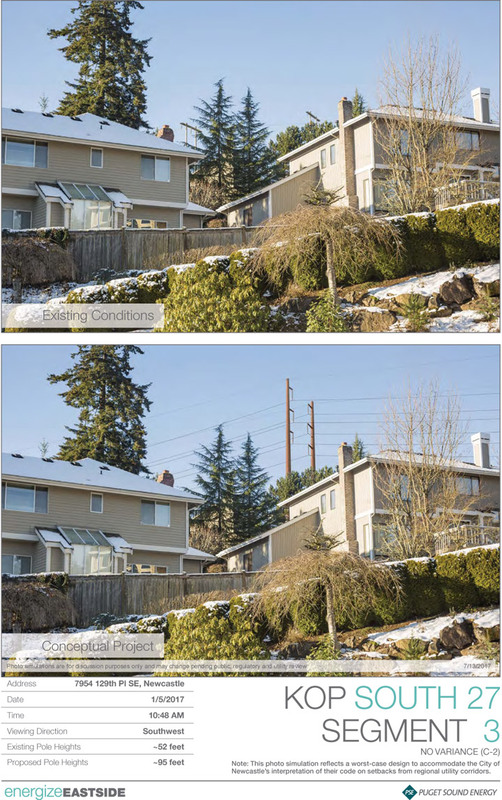 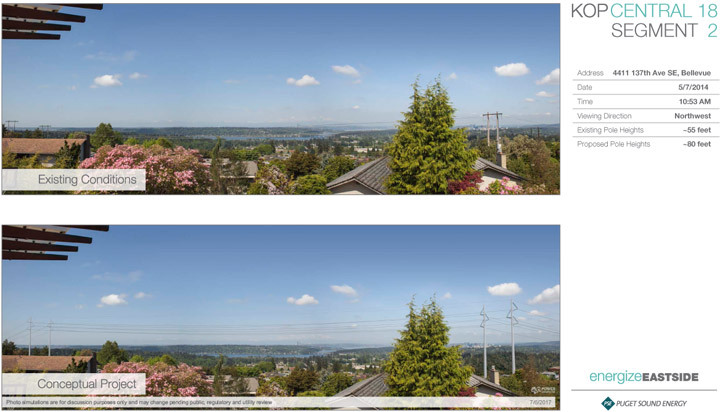 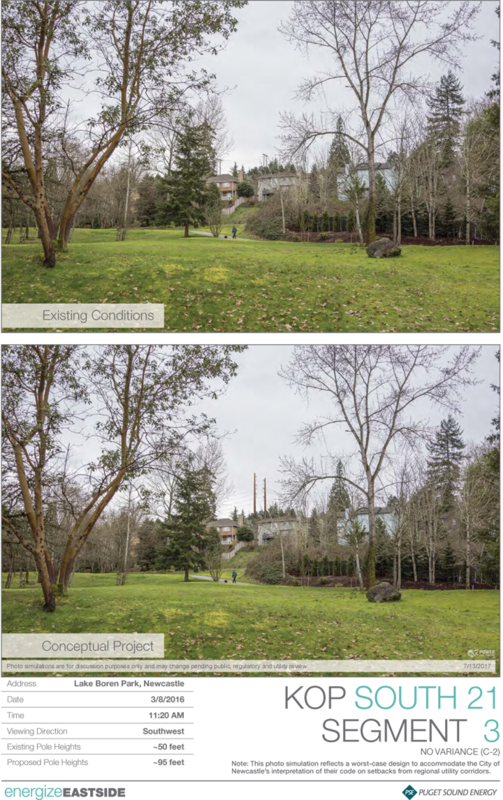 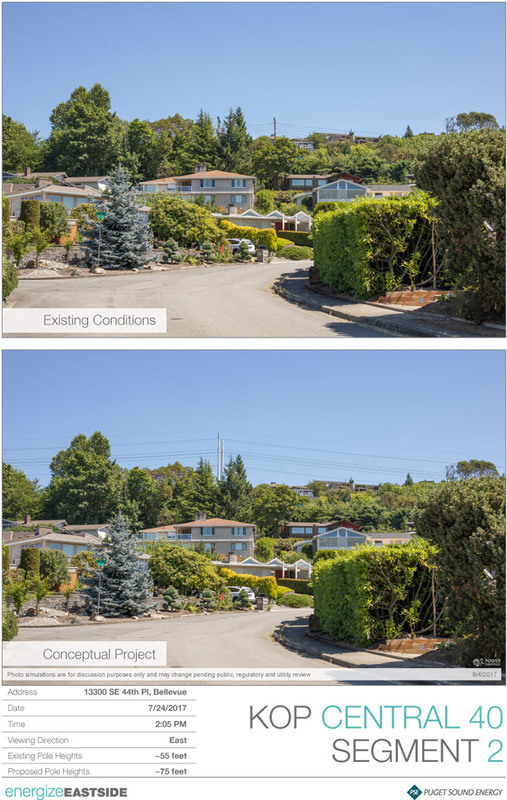 Please note that photo simulations were created along representative locations, or Key Observation Points (KOPs), across the Energize Eastside project area. 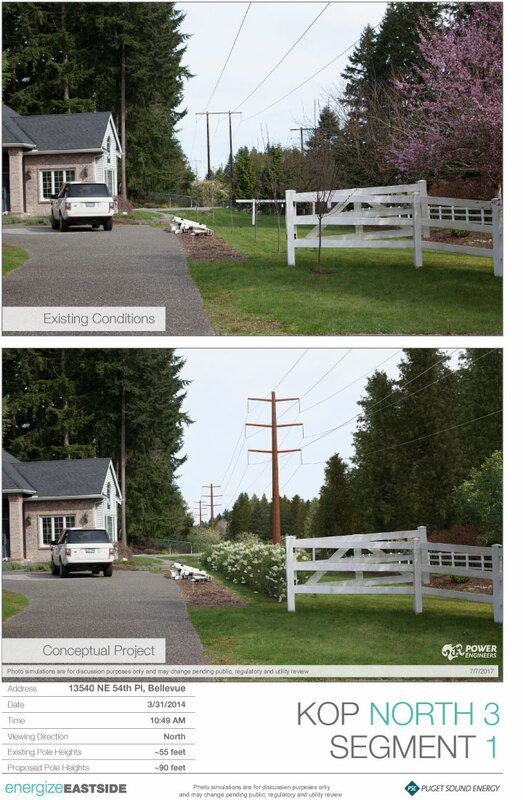 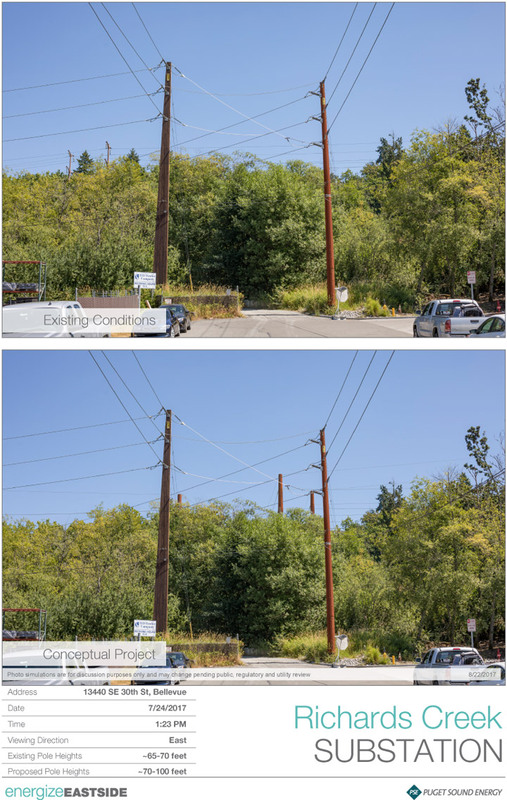 Each simulation includes an image of existing conditions as well as a conceptual project indicating what the new transmission lines might look like. 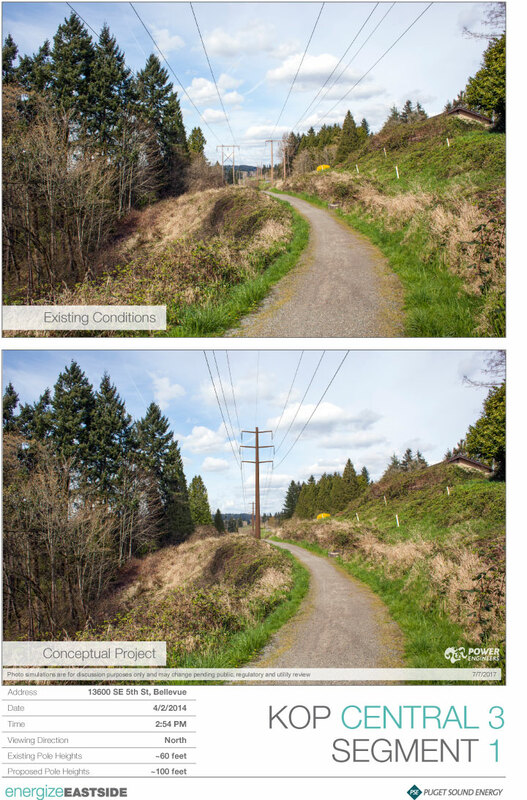 Note: The photo simulations below reflect a worst-case design to accommodate the City of Newcastle’s interpretation of their code on setbacks from regional utility corridors. 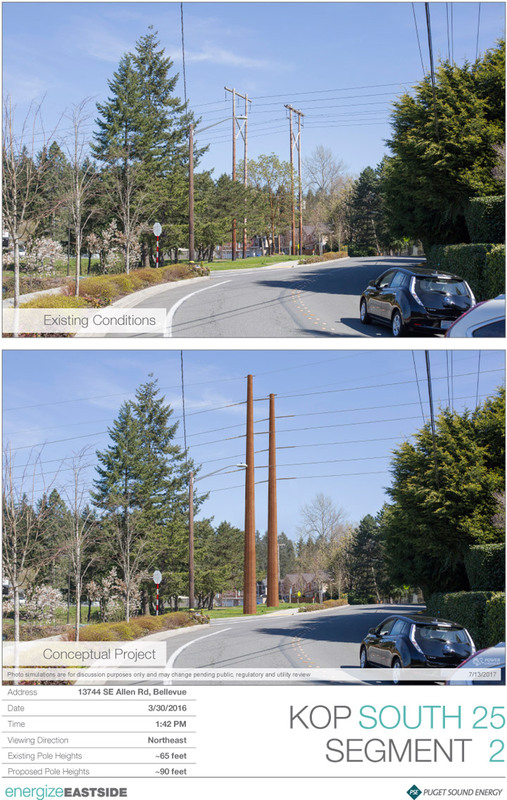 The permitting process will determine which pole design will be constructed.